I wanted to review this eyeshadow palette from Nvey Eco since a long time and now the opportunity came along. In this moment in my make-up kit there wasn’t any Nvey eco eyeshadow left. I wanted to use them again and review them too. 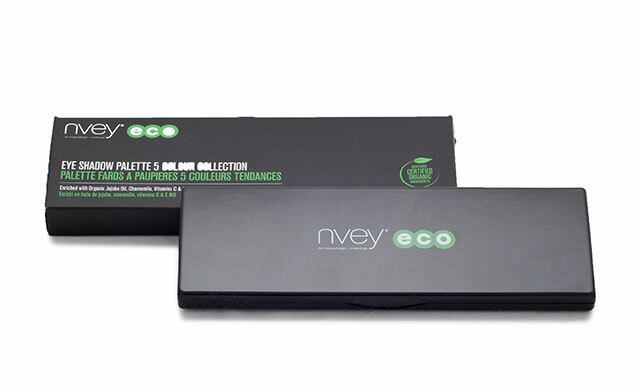 I have chosen to review Nvey eco eyeshadow palette n.3 because it’s a great choice of warm, autumn inspired colors. Nvey eco products are really inspiring for me, because of their great ingredient list and superb results on the skin. They give a professional look and long-lasting finish. 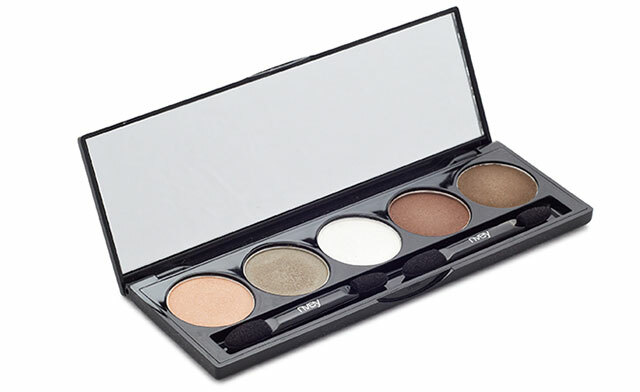 The eyeshadow palettes are very handy and they also provide a wider selection of colors all at one place. If you like the selection of colors in the palettes, they are even more convenient to buy. This palette contains shimmer finishes of all eyeshadows but I have to point out that they are not too much sparkling which I like, because it gives a beautiful and sophisticated look. The package is minimalistic but very aesthetic, with a professional mood. The palette has inside a mirror and 2 applicators, so you can use it everywhere. 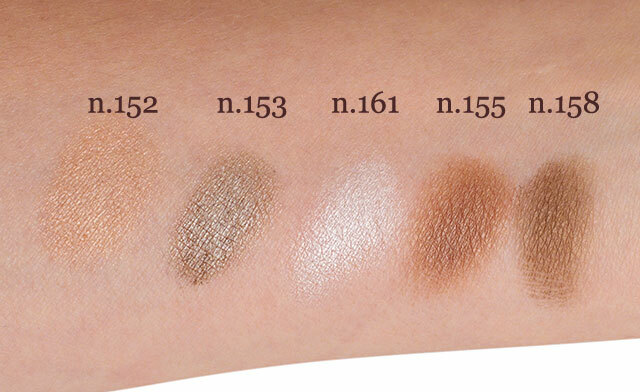 I love the texture and formulation of Nvey eyeshadows. The texture is smooth and silky thanks to Jojoba oil and soothing properties of Chamomile. The pigmentation is awesome, as you can see from the picture. I intentionally haven’t put any base on my hand and I applied just one layer of color. When applied on the eyes it stays all day and it does not crease in the eyes. I recommend to apply it with a blending brush and blend it evenly into the skin and crease of the eyes. The colors from this palette will suit those with warm tonalities and dark eyes. Special thanks to Beauty Bazaar UK online shop that kindly provided to me the palette. The opinion and choice of product are exclusively my own. I like the color palette you picked out. Very versatile. I took a look at their website it looks like they have some worthwhile products, thanks for sharing! I also have this palette and really enjoy it! The quality of these eyeshadows is top notch (and I much prefer them to loose mineral eyeshadows). @Audreiana: Hauschka does 4 color palettes and Cargo PlantLove sometimes has little sets as well. Both of those are also fantastic in terms of quality and the colors are fantastic. Yes, I know… just giving some options for smaller ones. Like you say, right now there are no big palettes out there, although sadly there was one available till last year which got discontinued–Cargo Green Glamour (http://www.dermstore.com/product_PlantLove+Green+Glamour+Kit_30349.htm) if I could get my hands on it I would get it! I was going to buy this palette in ‘5’ today but I didn’t. I haven’t tried any Nvey eyeshadows before, i’ll have to get it soon. 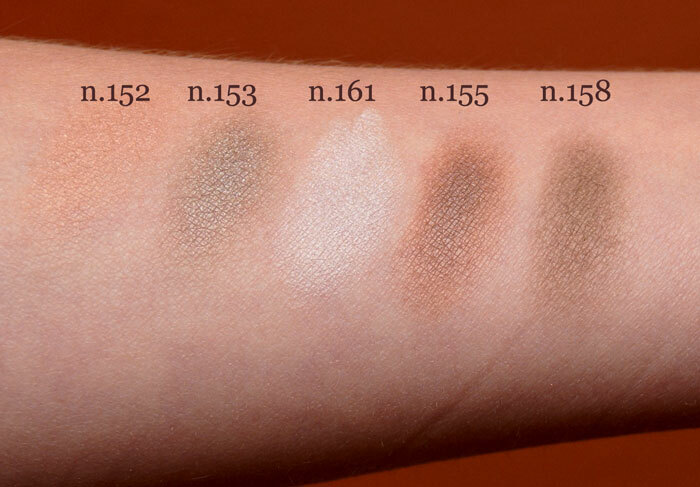 Thanks for the swatches. These looks very chalky to me, and the colors in the daylight look very washed out! I will keep looking.